“We stitched the coverlet together, Jenny and I. I hoped it would calm her, keep her brain quiet, the steady stem stitch, chain stitch, laying the silks on the pounced lines. Can you tell my stitches from hers? Sometimes she would stitch the stems, I the leaves. Then she would choose the leaves, or the big petals. 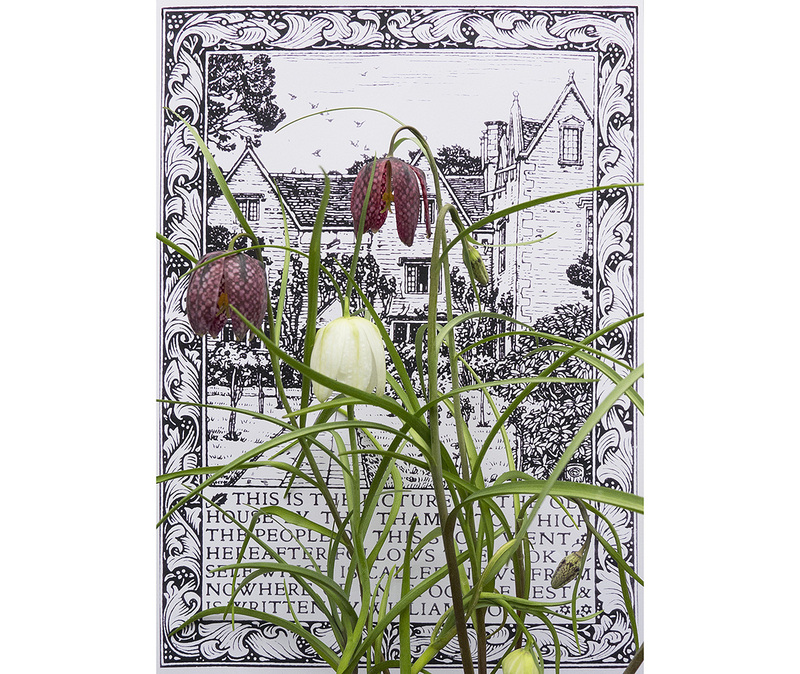 The fritillaries were my favourites: they only grow at Kelmscott, not in London, however many plants we try to move. Their heads droop like bells, like Jenny’s when she is most sad and silent. Ten more minutes, then you must rest your eyes. 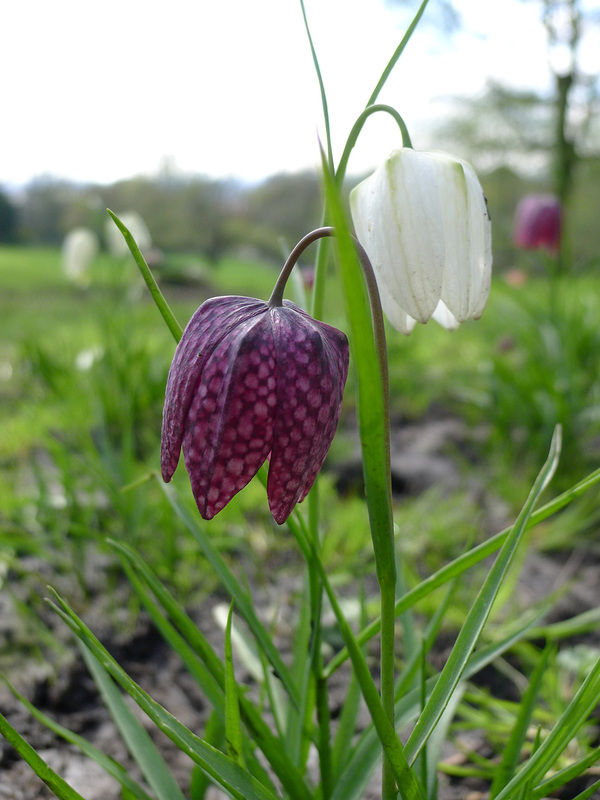 Fritalliaria meleagris (Snake’s head fritillary) was also once known as the Leper Lily (because its shape resembled the bell carried by lepers). Vita Sackville-West called it “a sinister little flower, in the mournful colour of decay”. 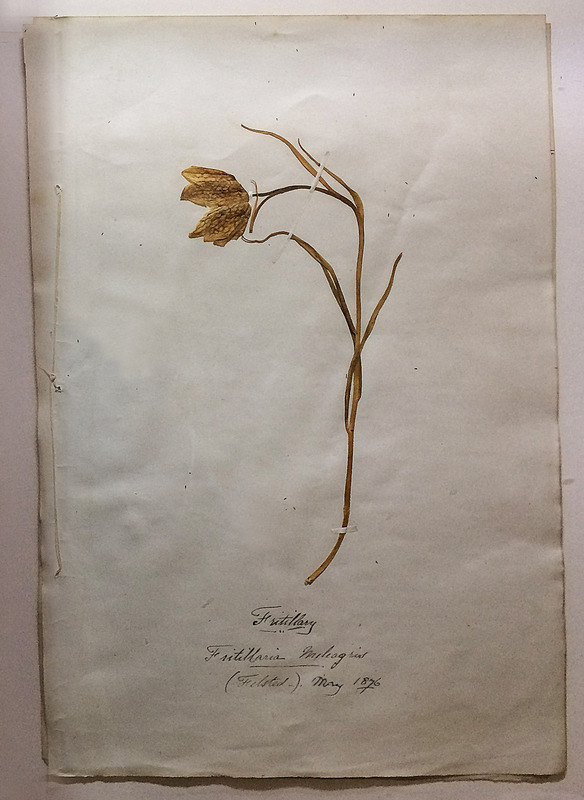 It was once abundant in the UK, particularly in the Thames valley and was collected in vast quantities to be sold as a cut flower in the markets of London, Oxford and Birmingham. Although a popular garden plant it is now rare in the wild. Despite, or because of Jenny’s illness William continued to throw himself into creativity and work during 1876. Writing long epic poems, producing designs for printed and woven fabrics and wallpapers, getting involved in architectural and political organisations, his energy was not dulled by the family tragedy, although grief and anxiety loomed over him. 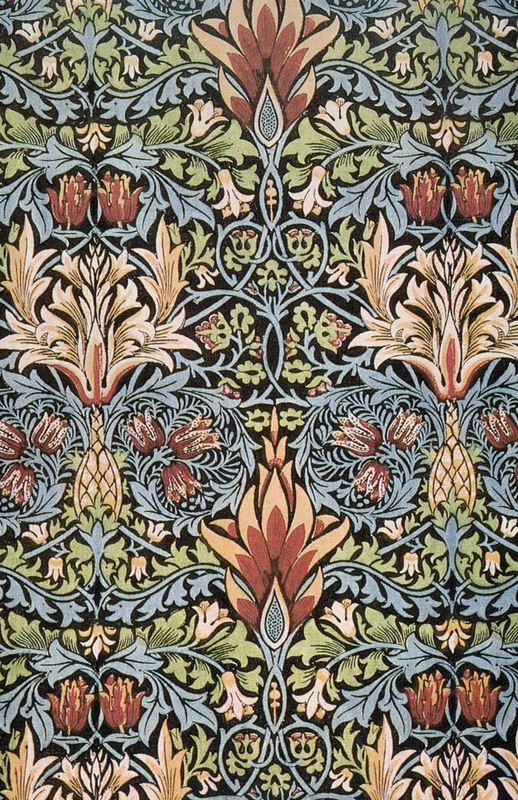 Between 1875 and 1877 Morris produced a small group of patterns influenced by the colouring and patterns of Indian textiles. The design above (‘Snakeshead’) from 1876, originally block printed onto cotton was one of Morris’ own favourites among his printed chintzes. The design takes its name from the nodding snakeshead fritillary blooms that complement the larger, more formal motifs.